Nothing beats using a real stock. I buy ready made stocks to use in an emergency but I know that home made is better. This challenge saw the stock first boiling over and meant I had to clean the stove. And then, the tuffy bag did not seal properly and the stock leaked out, all over the floor behind the stove. Which meant a lot of moving and cleaning. you too have a great weekend!!!! lmao @ the automatically generated ‘possibly related posts’! 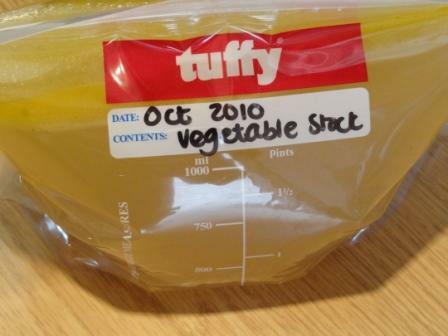 Home made stock is really well worth the effort.